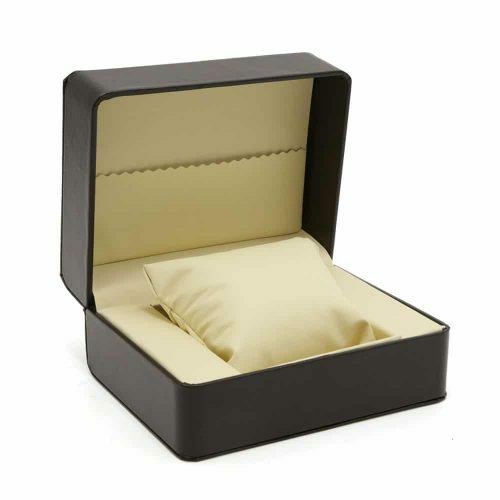 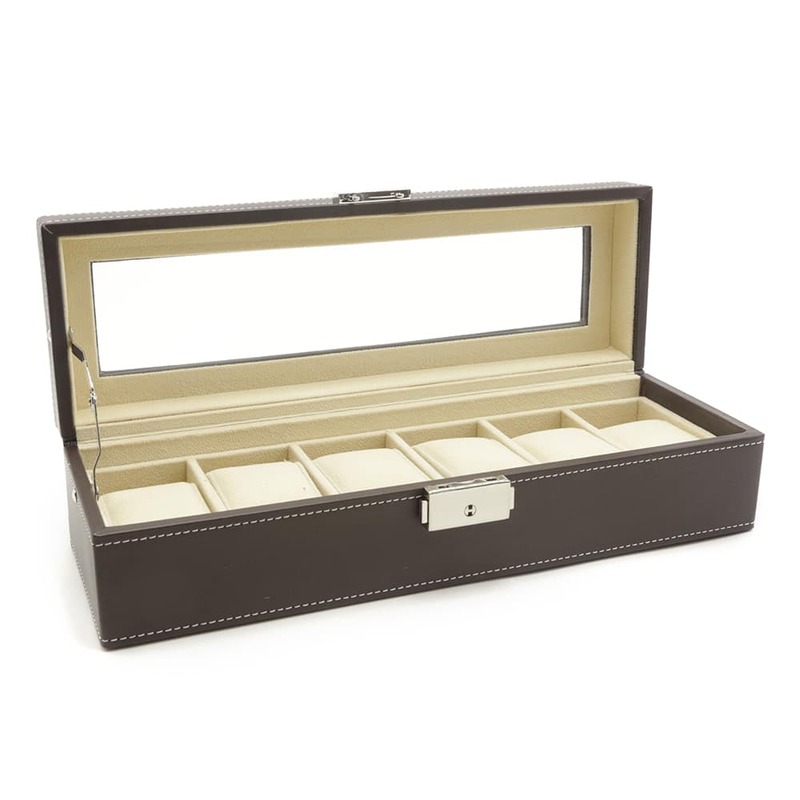 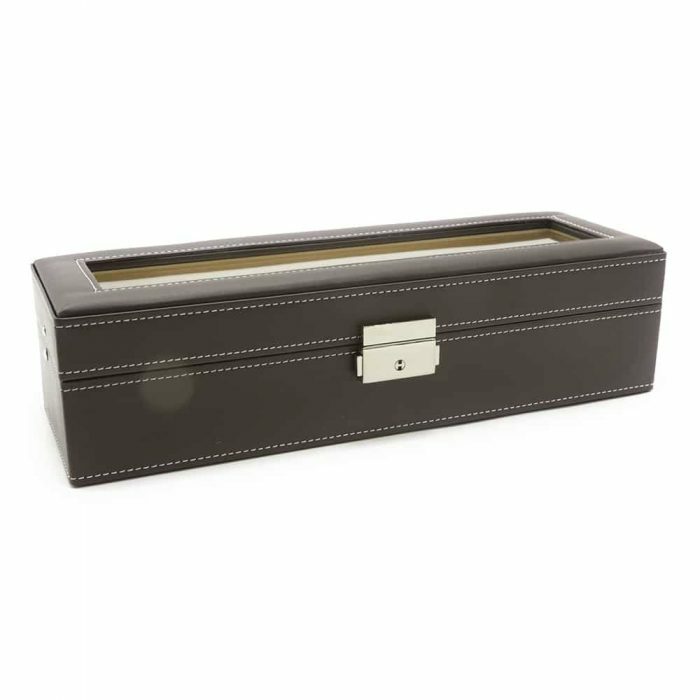 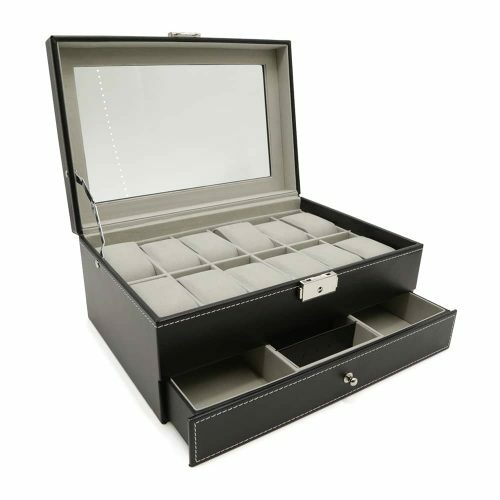 Keep your watches safe and dust-free with this Luxury Dark Brown 6 Slot Watch Box. 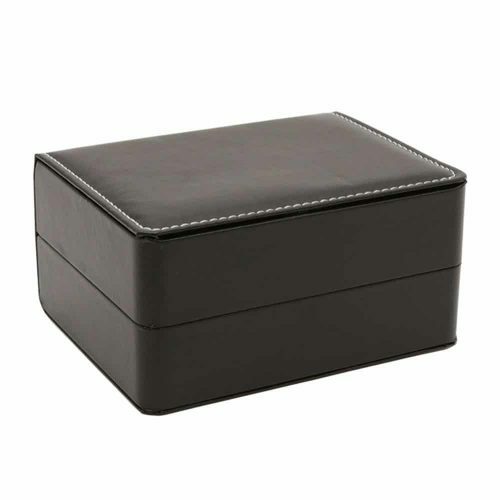 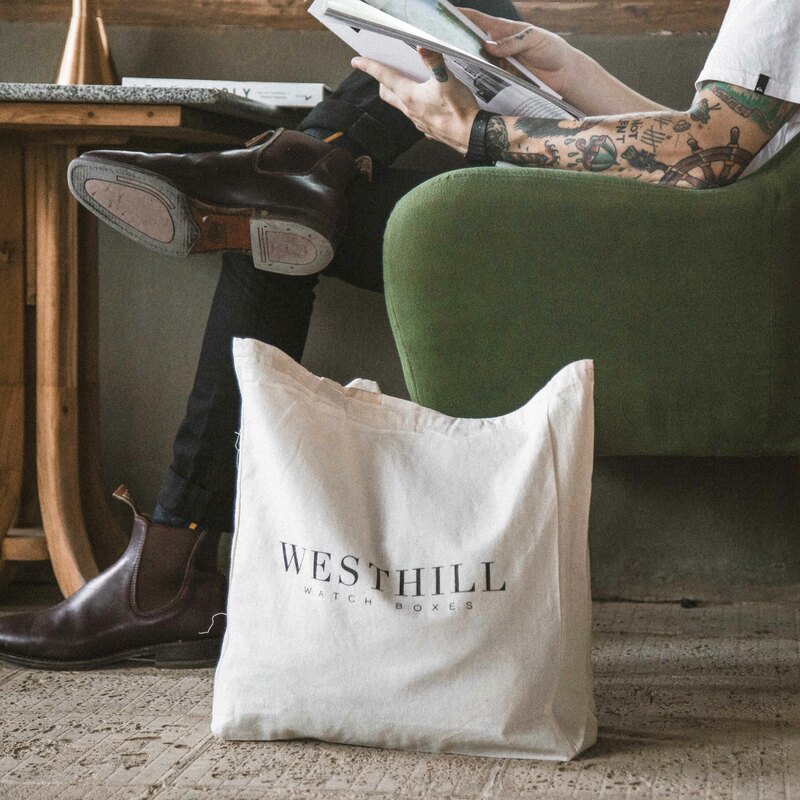 It’s made with the highest quality PU leather in black with silver features and white stitching. 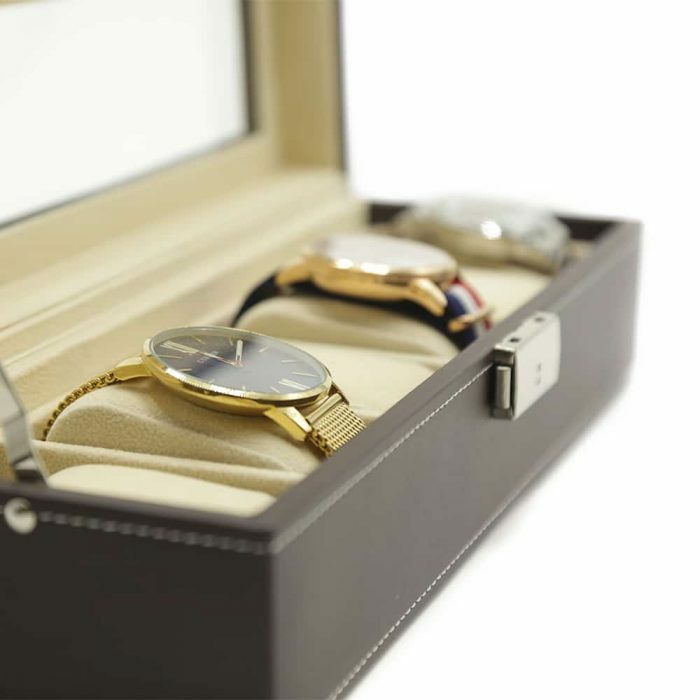 The lid has a see-through panel allowing you to view and select a watch from your collection easily. 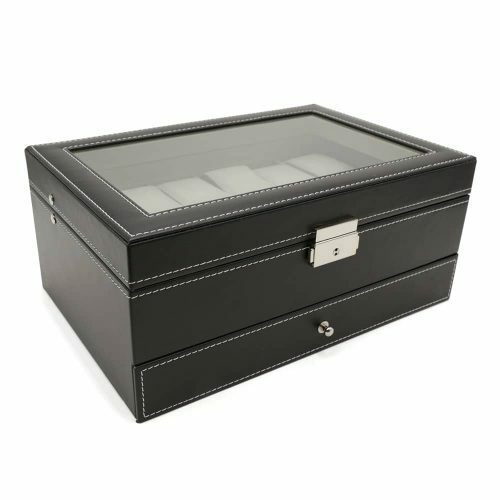 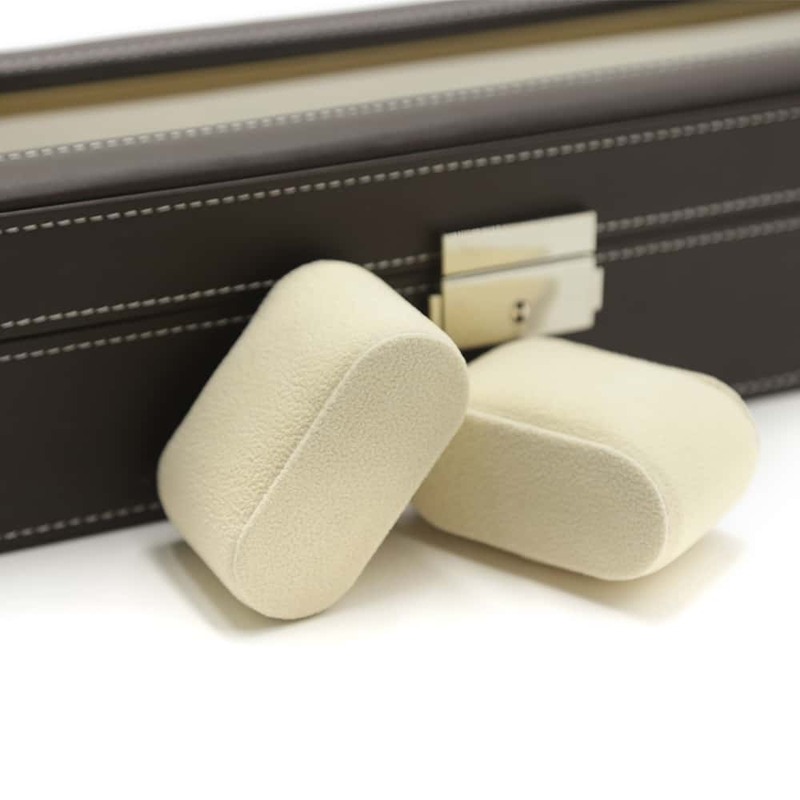 Inside, the interior is lined with a soft, high-quality cream velvet material to ensure your watches are safe and cushioned. 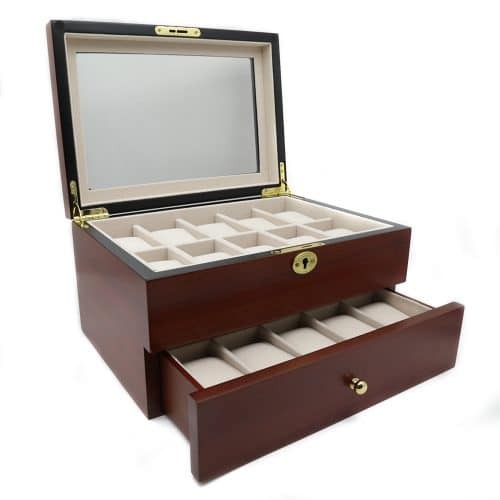 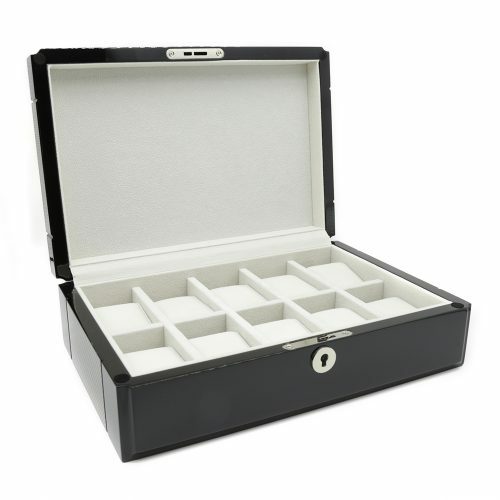 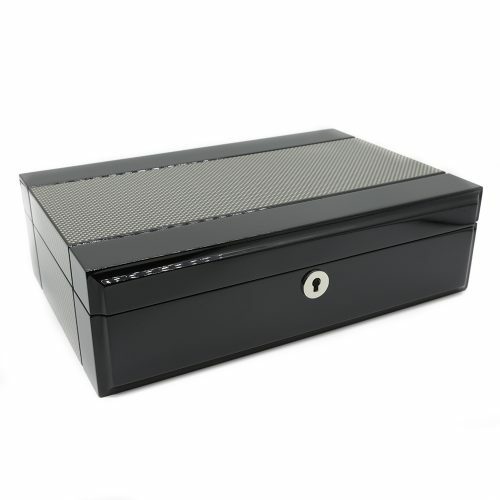 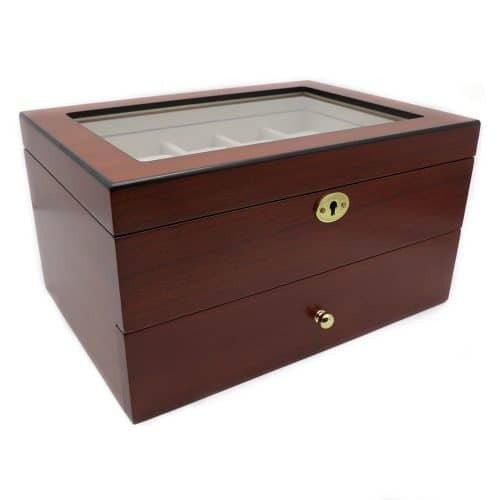 To ensure that your fine watches are safe, the box also has a lock and key to secure the lid.